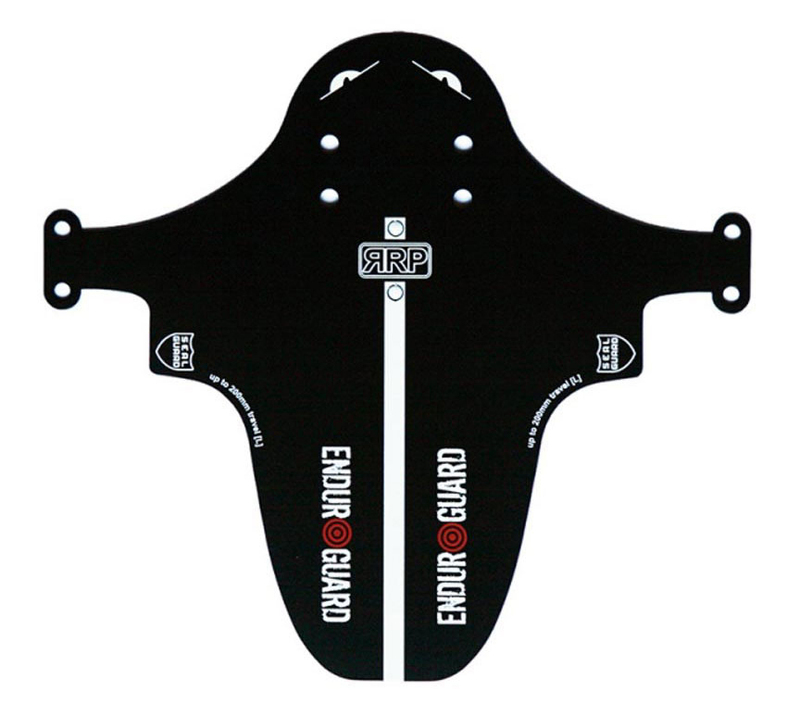 Our new ENDUROGUARD v3 mudguard adds new colours to our range with a much improved design, used by some of the best riders in the world the ENDUROGUARD can keep the mud and spray out of your eyes and face. 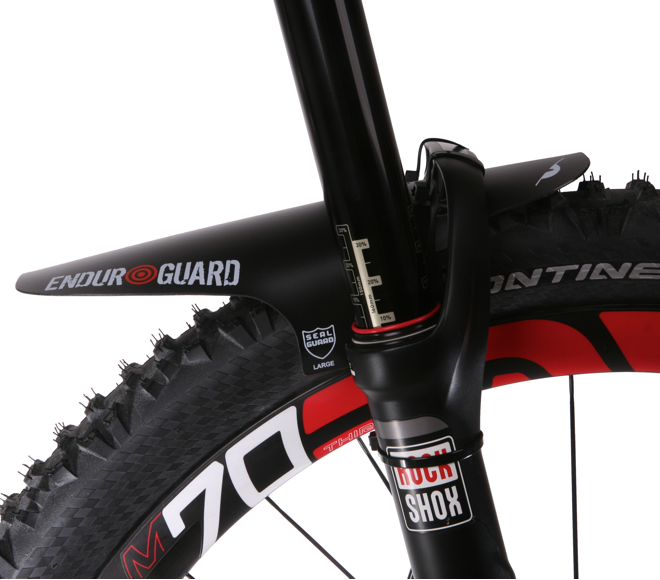 Or just snap-off the round holes either side of the RRP logo and attach it to the rear stays to protect your linkages and shock from getting hammered. 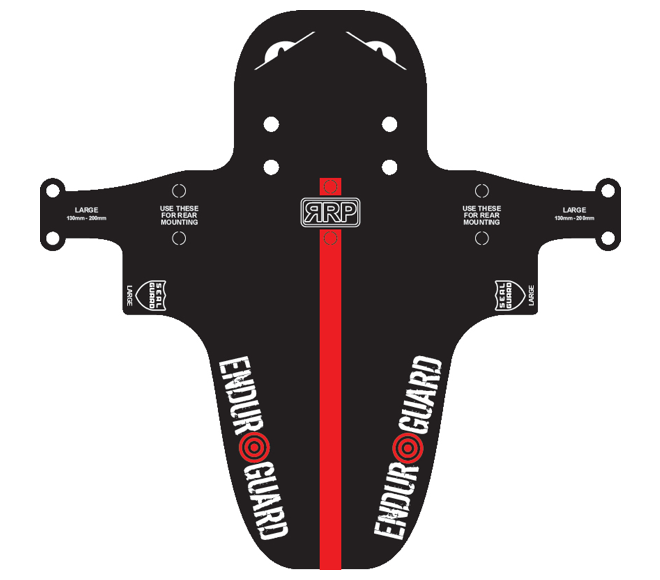 The ENDUROGUARDTM is designed as a FRONT or REAR mudguard and has been specifically adapted to do both jobs extremely well, the holes that are correct for fitting to the front forks do not work when using them to fit as a rear mudguard (unless the bike has a dropped rear brace), our snap off holes allows you to rotate the guard forward for better tyre clearance and protection. 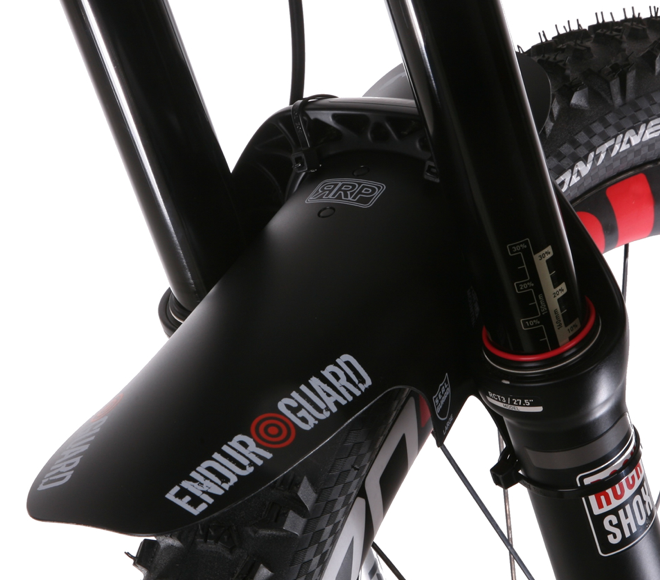 The holes for the fork brace aren't ideally located when using it as a rear mudguard, so we built in two sets of snap-off holes to allow you to rotate the guard forward and attach it to the brace between the rear stays, this feature creates more mud/tyre clearance and a much better fit. All black based ENDUROGUARD's will come with black zip ties, all white based will come with our new custom bright white zip ties that dissapear on white forks. Priced at £9.99 to include £1 for P+P.